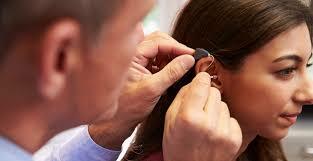 Audiology is an in-demand medical field focused on the diagnosis, treatment, and prevention of ear-related problems. Using audiometers, audiologists assess patients’ hearing ability and balance to identify impairments. Audiologists aren’t medical doctors, but they’re doctoral-level, licensed healthcare providers who treat patients across the lifespan. Their duties range from cleaning earwax and testing hearing aids to fitting cochlear implants and counseling deaf patients. As more “baby boomers” suffer hearing loss, employment in audiology is expected to skyrocket by 29 percent through 2024. For individuals aspiring to help people hear sound and speech, we’ve listed the following Top 10 Doctor of Audiology (AuD) Degrees. To begin, we researched professional doctorates with clinical, practice-oriented training in audiology that satisfy licensing requirements. We found 74 U.S. universities granting AuD programs with accreditation from the American Speech-Language-Hearing Association (ASHA). Next, we narrowed down colleges based on the prestige of their rankings from the U.S. News and World Report. All chosen universities are top-tier and nationally ranked for excellence. We consulted with the NCES’ College Navigator tool to record every school’s average annual graduate tuition cost. We also combed through prospective programs’ websites to analyze the curriculum’s rigor, specialization, and clinical practicum. Other important factors were location, class size, resources, faculty strength, audiology Praxis exam rates, and job placement. Named for George Washington in 1853, Washington University in St. Louis is a private, non-sectarian research institution enrolling over 14,100 students from Missouri’s largest metro. The U.S. News ranked WUSTL as America’s 15th Best University and 23rd Top Value. In the School of Medicine, there’s an ASHA and ACAE-accredited Doctor of Audiology degree. Students can declare a Pediatric Audiology Specialization (PAS). The final fourth year is devoted to clinical externship available within 140+ healthcare organizations. AuD students also participate in a T35 Short-Term Research Training Program. 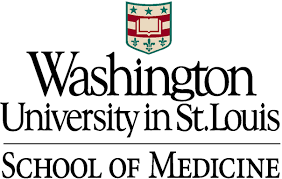 Learn more about Washington University in St. Louis’ Doctor of Audiology Degree Program here. As America’s eighth largest public, land-grant college, the University of Florida enrolls over 52,500 students yearly in subtropical Gainesville. According to the U.S. News, UF is the 47th Best University and 18th Most Innovative School in the United States. Either on-campus or online, the College of Public Health awards a Doctor of Audiology degree. This four-year, post-bachelor’s program consists of 110 semester credits approved by ASHA. Clinical training utilizes resources in UF’s Health Sciences Center and externship sites. AuD candidates join the Student Academy of Audiology too. 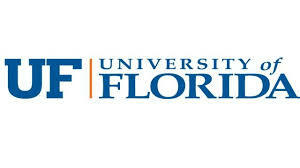 Learn more about the University of Florida’s Doctor of Audiology Degree Programs here. Declared a “Public Ivy,” the University of Texas-Austin is hold space-grant status for over $550 million in research expenditures and 51,300 students enrolled in Texas’ capital. The U.S. News and World Report picked UT-Austin as the country’s 52nd Best University and 16th Top Public College. Within the Moody College of Education, there’s a 105-credit Doctor of Audiology available. This four-year program satisfies the requirements for ASHA Certificate of Clinical Competence. Students build expertise on disorders of the auditory system in Austin’s Speech & Hearing Center and off-campus internships. Learn more about the University of Texas – Austin’s Doctor of Audiology Program here. Endowed for $283 million, the University of Maryland-College Park is a public, land-grant research institution located just four miles from Washington, DC, to serve 38,100 students. The U.S. News crowned UMD the 57th Best National University and 21st Most Innovative School. The Department of Hearing & Speech Sciences offers a 93-credit AuD in Clinical Audiology. Cohorts of six to 10 students spend four years full-time with world-renowned faculty. Graduation requires 12 months of practicum at unparalleled sites like Walter Reed, Johns Hopkins, and the NIH. 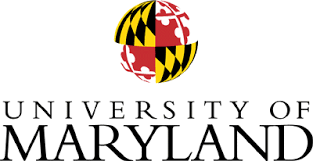 Learn more about the University of Maryland – College Park’s Doctor of Audiology Program here. Serving over 42,500 students, Indiana University-Bloomington is the state’s largest public, research institution with a sprawling 1,937-acre campus just 65 miles from Indianapolis. IUB was ranked the 75th Best National University and 29th Top Public College by the U.S. News. The College of Arts & Sciences has an accelerated, three-year Doctor of Audiology program. Fully ASHA-accredited, the 90-credit curriculum includes at least 2,000 clock hours of clinical practicum, including IUB’s Hearing Clinic. For three years, 100 percent of graduates have passed the Praxis exam. As an elite AAU member, the University of Iowa enrolls nearly 33,000 students as a public, space-grant research institution endowed for $1.2 billion in Iowa City. The U.S. News named Iowa the 82nd Best National University and 34th Top Public School. In the College of Liberal Arts and Sciences, a Clinical Doctorate in Audiology is delivered. The 95-credit, ASHA-aligned curriculum involves passing clinical practicum, qualifying exam, and a capstone project. Iowa’s in-house Wendell Johnson Hearing Clinic is renowned for its strong cochlear implant program. 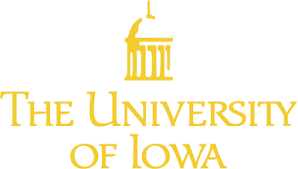 Learn more about the University of Iowa’s Doctor of Audiology Program here. Having produced 12 Nobel Laureates, the University of Colorado-Boulder is a premier public, space-grant research institution enrolling over 32,000 in the Rocky Mountain Foothills. According to the U.S News, CU-Boulder is the 89th Best National University and 37th Top Public School. With ASHA accreditation, the Doctorate of Audiology is awarded after a four-year, clinical-focused curriculum. Aspiring audiologists prepare for licensing in aural treatment through full-time rotations at Rocky Mountain Ear Center and Boulder Community Hospital. There’s also a Ph.D. in Speech, Language and Hearing Sciences. Learn more about the University of Colorado – Boulder’s Doctor of Audiology Program here. Located on Chicago’s West Side, Rush University Medical Center is a private, non-profit health sciences institution running a 676-bed tertiary care hospital. Known for winning the Exemplary Voluntary Efforts Award, Rush is recognized for America’s Ninth Top Audiology Education by the U.S. News and World Report. With a 100 percent employment rate, Rush offers a four-year, on-campus Doctor of Audiology program. Class sizes average 14 students for personalized learning from a teacher-practitioner model. The 166-credit, ASHA-accredited curriculum culminates with a year-long externship. Admission requires a minimum major GPA of 3.5. Learn more about Rush University Medical Center’s Doctor of Audiology Program here. Enrolling more than 29,900 students, the University at Buffalo is a flagship, public sea-grant and space-grant SUNY institution with “very high research activity” in Western New York. The U.S. News ranked UB as the 99th Best University and 45th Top Public School Nationally. Within the College of Arts and Sciences, students can pursue the four-year Doctor of Audiology program. Following ASHA guidelines, the competency-based curriculum integrates over 2,000 hours of clinical practicum. AuD students treat patients in Buffalo’s Speech-Language & Hearing Clinic. Learn more about the University at Buffalo’s Doctor of Audiology Program here. Chartered in 1885, the University of Arizona is a public, state-assisted research institution enlightening over 40,600 students from sunny Tucson. According to the U.S. News, Arizona is the 121st best national university and 58th top public school. Featuring ASHA approval, the Graduate College grants a Doctor of Audiology program for studying hearing science. The cutting-edge, 152-credit curriculum offers a Bilingual Certificate in Audiology. Students spend two semesters in UA’s Hearing Clinics. For their year-long clinical externship, AuD candidates can travel to Ecuador or Puerto Rico. 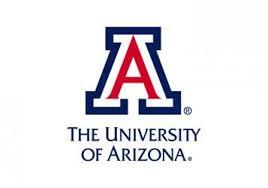 Learn more about the University of Arizona’s Doctor of Audiology Program here.